MoneyBRAINS is leading new technology that helps Australians better understand their finances. Answer 20 simple questions about your household finances and you will be provided FREE analysis & insights into your financial situation INSTANTLY. 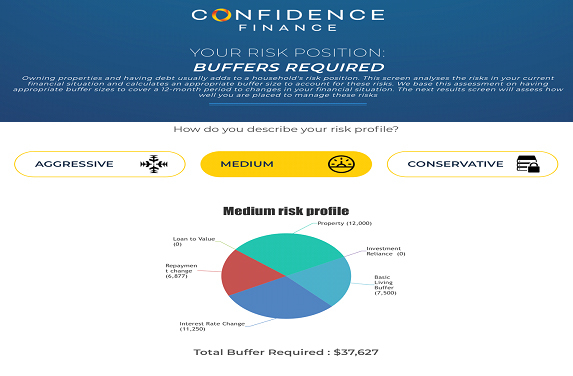 Insights include a breakdown of how you spend your money, whether you are under mortgage stress, what your borrowing capacity is, how much ‘buffers’ you should hold and what your overall risk position is. Australia’s major housing markets have entered into recession. While many debate how severe this downturn may become, it’s clear that the Sydney and Melbourne housing markets are now moving backwards. As investors, this can be a scary time. What should you be doing to manage your finances through a housing downturn? We’ve narrowed it down into 2 key steps. It all comes down to managing your risk. The best advice I’ve ever received about risk is ‘it’s what you don’t know that can hurt you the most’. Making sure you have a proper understanding of your existing position is a crucial first step. When will your interest only terms expire? How will you manage P&I repayments? If this means deleveraging in the future, start planning how you would go about this is required. If you are growing your portfolio aggressively, does taking in new debt with non-bank lenders makes sense? 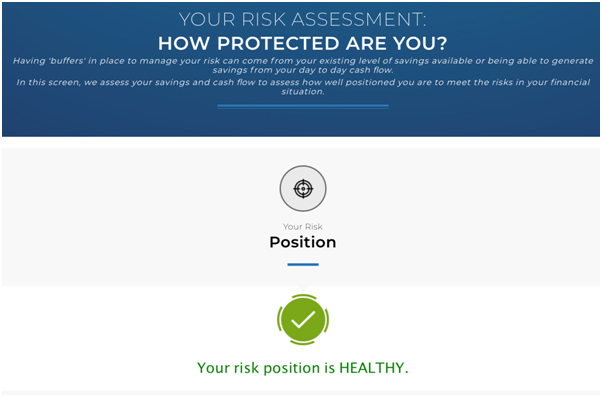 MoneyBRAINS allows investors to get a summary of their current financial & risk position. Investors can unpack their household finances in a concise, accurate and detailed way. This will help ensure that investors are not blindsided by risks you didn’t know about. Below is an example household assessment. Figure 1: MoneyBRAINS analyses your financial position and provides users simple & accurate information about their financial position. Best of all, MoneyBRAINS provides users this information for FREE & INSTANTLY. Having ‘rainy’ day funds is one of the best ways to prepare for a downturn. Ideally you should have enough funds to cover your risk position for a 6-12 month period. The first part of having the right buffers is understanding how much you actually need. This will depend on a range of factors, including: the risks in your portfolio, how much of your debt is on interest only terms, your job security, planned life changes, etc. Once you’ve determined the size of the buffers needed, the next step is to work out where your buffer can come from. Your risk buffers can come from two sources: your ongoing savings (cash flow) and your funds that are easily accessible (stock of funds). MoneyBrains will automatically break down how much of a buffer you should keep and help you understand where your buffers can come from. Figure 2 - There are different types of risks a homeowner has to their portfolio. This includes the amount of debt they have, their Loan to Value Ratio, their repayment type, the number of properties they own, whether they are over-reliant on variable income sources & general life risks. MoneyBRAINS technology will automatically calculate what a ‘safe’ level of buffer is for individual Australian households based on the specific financial situation that household is in. That is, it will INSTANTLY provide INDIVIDUALISED information about a households risk position. Figure 3 - MoneyBRAINS technology will summarise your finances into an easily understandable risk position. It will examine your cashflow and stock of funds available to provide a summary of your risk position. It will also make an assessment on how resilient your household is to shocks to economic conditions. 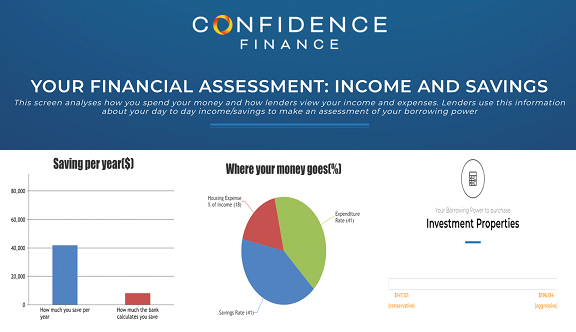 Confidence Finance mission is to help educate Australian’s about their finances. We have developed MoneyBRAINS to help educate investors by providing a holistic reflection of their financial position.